Creativity in home canning is a topic that often comes up — and is often hotly debated. In canning, the rules — not IQ, not instinct, not being a good cook, nor common sense or years of experience — keep you safe. Canning is far closer to baking than it is to cooking: from a quality point of view, precision really does matter for a product that doesn’t result in lunch-bag letdown. When is home canning both an art and science? 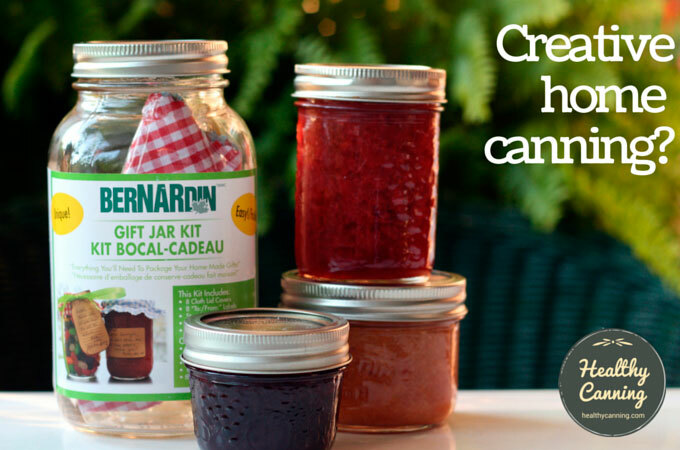 The desire to express creativity is found particularly in people who are new to home canning. Elizabeth Andress, head of the National Center for Home Food Preservation, apparently sees it all the time. [Elizabeth] Andress says she still worries about …. newbie canners [who] often try to get creative…. Andress say many newbie canners still try to do their own thing. ‘You have to use a tested recipe,’ she says. ‘But people will find something on the Internet or make up a canning process. Many times, I’ll look at personal websites and see things that can be very unsafe. People don’t quite understand that they might do it once and ‘get away with it’ but they could try it a month later and get sick — or make someone else sick.’  Mapes, Diane. Homemade holiday food baskets may give gift of botulism. NBC News. 13 December 2010. Accessed March 2015 . If you got me started on the queer things some women do when they start canning, I’m likely to go on talking all night.. The safe way to can is to get a reliable canning guide from your State College or from the Bureau of Home Economics at Washington, D. C. and follow that as though it were the laws of the Medes and Persians.”  USDA Radio Service. Housekeepers’ Chat. Thursday, 14 September 1933. Experienced canners are usually long-past wanting to be creative. They just wanna get through the season without having to be checked into the Betty Ford at the end of it. They know how much work it is just to get through the slog of all the produce coming in all at once to be canned. They are mystified at anyone asking if they can put a bay leaf in a jar of green beans, when there are six dozen jars of them ahead to be done. Being creative to them is seeing how they can persuade or blackmail people into helping with the tomatoes. If you’re more worried about how to gussy them up, they’ll want whatever you’re smokin’. 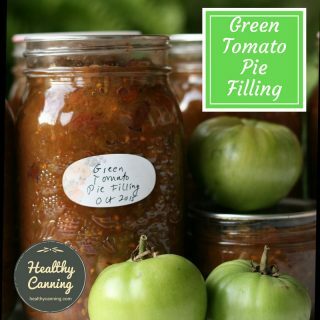 Canning is like baking: both are very different from general cooking. No one in their right mind would try to just invent a croissant or sponge cake recipe on the fly, without having consulted a trusted recipe source. Baking can be very unforgiving. The proportions have to be right. You can light as many Tibetan prayer candles as you wish in the kitchen, but the rise of the yeast and the texture of your crumb is all about food science, and you can’t fool Mother Nature here. Winging it, you might be moderately lucky one time with your brioche, but the next time, it will be a tortilla. In baking, there just are rules and ratios you have to understand and learn before you can fly, and no one in their right mind would deny it. 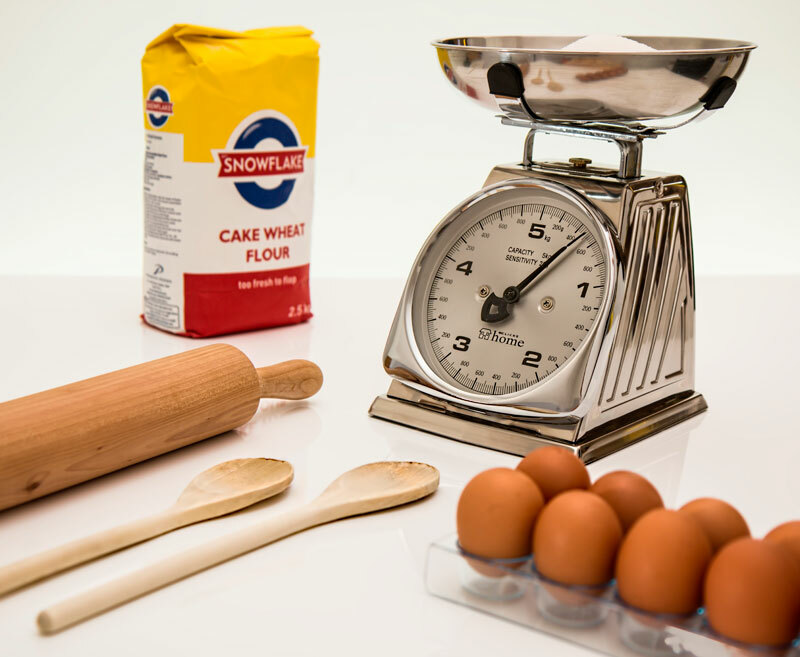 In fact, even the most experienced bakers say they still always precisely measure their ingredients, and a lot of them swearing by weighing as opposed to cups for even more precision. Remember: the time when bakers relax and let themselves get creative is when the risen cake is successfully cooled on the counter, ready to be decorated. Canning is the same. It is very unforgiving if you are ignorant of the underlying rules, and, you can’t fool Mother Nature. Remember this: When you preserve food at home, especially by canning, you are a scientist,” Garden-Robinson cautions. “Food preservation isn’t the time to put on your ‘creative’ hat.”  Julie Garden-Robinson, North Dakota State University Extension Service. Quoted in: Preserve your garden’s bounty safely with free resources. Farm Forum. 18 July 2016. Accessed July 2016 at “https://www.farmforum.net/news/preserve-your-garden-s-bounty-safely-with-free-resources/article_62e9d6ff-394c-5b13-a920-780bb63dd965.html. Elizabeth Andress, head of the National Center for Home Food Preservation worries that a “large percentage of home canners are adapting recommendations in their own ways… [and consequently] over half of home canners under-process.” Andress, Elizabeth L. Research and Education in Food Preservation. Powerpoint presentation. 19 October 2014 at Food & Nutrition Conference & Expo, Atlanta, Georgia. Slide 7. Cooking is an art…. Preservation of food is a science.” [Associated Clubs of Domestic Science, 1910, Madison Square Garden] Orem, Mrs Hugh S. A Revolution in the Kitchen: An address to the Associated Clubs of Domestic Science, Sept. 21 1910, Madison Square Garden, New York City. Bel Air, Maryland: Bureau of Publicity, National Canners’ Association. 1910. Page 13. Canning is a science, while ‘cooking’ is an art. There’s not a lot of room for creativity when canning.”  Garden-Robinson, Julie. Prairie Fare: Pondering the Safety of Pickled Products. North Dakota State University Extension Service. 4 August 2005. Accessed June 2016. 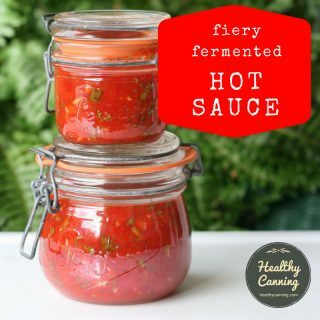 The number one goal of home canning is not to have something pretty in a jar. It’s to preserve food in a safe and quality state, and to avoid any spoilage of that food until it is time for it to be used. We currently live in a time of plenty when some food loss isn’t dire, but there’s no guarantee times will always be like that, so it’s important to remember that cardinal principle of canning. One of the big complaints of beginning canners is their bottled food going bad on them. It’s because they either have been given bad advice, through no fault of their own, or, they were given good advice and choose not to follow it exactly especially with regards to processing. Either way, they find themselves repeating exactly the same mistakes people did back at the dawn of home canning. And predictably, they get the same results: spoiled food. And there’s nothing new about that either, unfortunately. 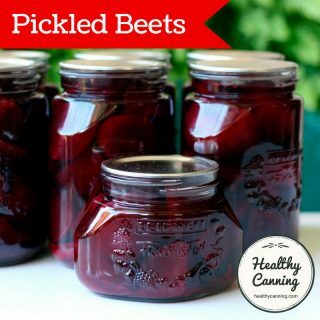 People who talk about the “old traditional ways” of canning oddly neglect to add that that a very high percentage of food spoilage and loss from the old ways used to be very, very common. THE preservation of fruits and vegetables by canning is now an exact and known science. Our grandmothers, and even our mothers, were content to lose entirely many quarts of fruit each year; and they were never surprised to find a layer of mold on top of each jar. Science has made wonderful advances, however, and in these days any woman can preserve fruit and vegetables without the loss of a single jar or a trace of mold.”  Ball Blue Book, Edition E. Foreword. Muncie, Indiana: Ball Bros. Glass Mfg. Company. C. 1920s. Page 7. 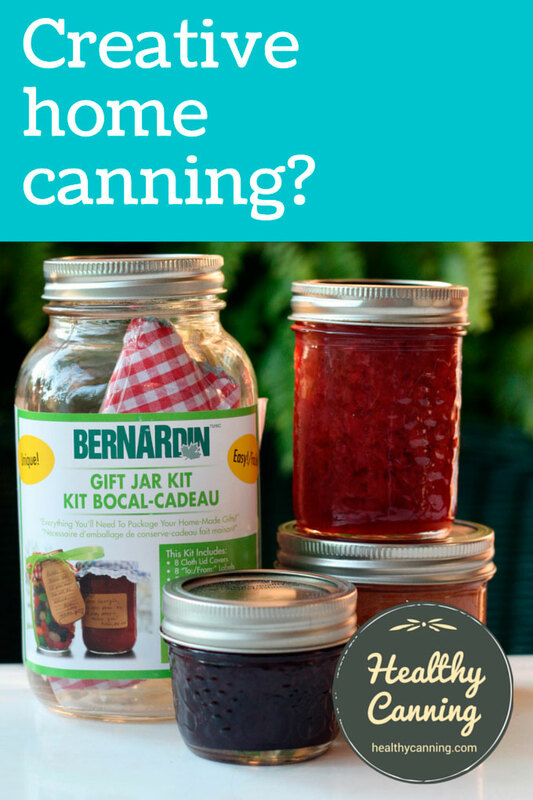 …spoilage isn’t necessary when canning is no longer a matter of hit-and-miss luck, but a careful science, and when every home canner can have help from reliable sources.” Questions: Information from the Bureau of Home Economics, USDA. USDA Radio Service. Housekeepers’ Chat. 14 September 1933. Page 1. But as they say, it’s an ill wind that blows no good, and the silver lining in their poorly canned goods showing repulsive signs of spoilage is that they won’t be tempted to eat it: the truly dangerous jars are the wrongly processed ones that show no visible signs of spoilage but hide a dark, deadly secret in them. People who see their jars of food spoiling after under-processing them are the lucky ones: it’s the under-processed jars that don’t show signs of spoilage…. 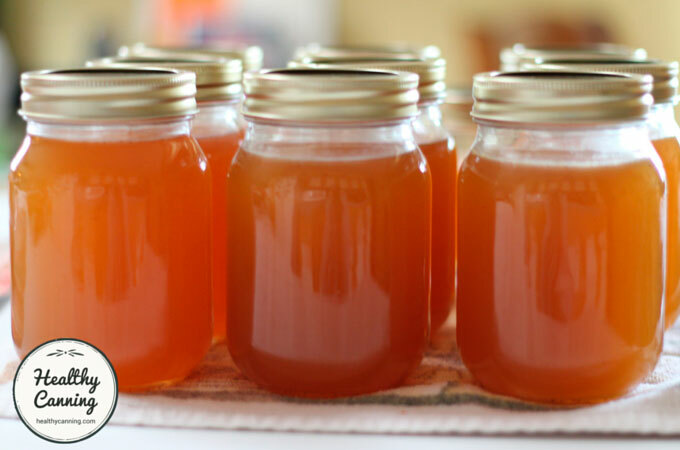 Our advice is that, for your first couple of years canning, you want to channel your energies into learning all the rules of the game, and making sure you understand the reasons why. Don’t be trying to fly before you can run, or run before you can walk, or walk before you can even crawl. Learn first who can be regarded as reputable sources of sound advice. If you can identify sources of reputable advice to rely on, you will have won half the battle, as the saying goes. You can value the well-meaningness of advice from veteran canners who quote their “20 years” of experience, but always check it against primary, reputable sources for yourself. Sometimes these people have not kept up with the times, and give advice that is out of date, either missing steps that are not important, or still doing steps (such as boiling empty jars) that have now been deemed a waste of time and energy resources. Do try to understand the reasons why certain best practices are considered the right way to do things (such as debubbling, or avoiding Open Kettle Canning.) That way, when a strong personality (we’ve all heard it: “I’ve canned for 40 years and learned from my grandmother“) comes along and tries to persuade you otherwise, you will know what’s right and why it is. And bear in mind, even if you make the Ice Water Pickles from So Easy to Preserve (which are delicious by the way) and follow the directions to the T, everyone is going to regard the jar of pickles as your creative work anyway. Even if you tell them it’s a USDA recipe, or a Ball recipe, that will go in one ear and out the other : they will just think of it as “your pickles” and give you the credit. So, let them! Jessica Piper at Ball agrees that even if you follow a recipe, it is going to be creative. Elsewhere, she also says:”With so much produce in season locally, it’s the perfect time to try canning. And before you start thinking you ‘can’t’ do it… according to Piper, ‘If you can follow a recipe and boil water… you ‘can’ can!”  Karlinksy, Malia. Canning is cool again. Seattle, WA: Komo News. 19 August 2015. You can add basil to your strawberry jam and that’s wonderful, but that’s not how you should be learning to can. You should be focusing on the methodology,” said Kim O’Donnel. Halloran, Amy. Preserving the Art of Canning Safely at Home. Seattle, Washington: Food Safety News. 26 April 2011. Accessed March 2015. What such a response is missing, though, is taking that creative impulse and channeling it. The danger with a complete shut-down response is that people will turn to more beguiling voices that may have very unsound practices. People’s energy and enthusiasm is not going to go away. It’s important to channel it. Of course there are many wonderful variations to strawberry jam that you can, and will, discover along the way. 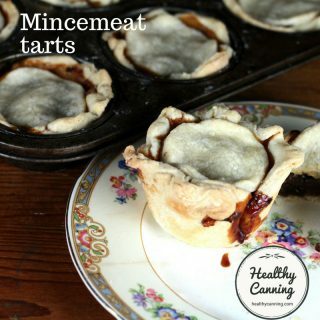 Let’s make sure they know where to find tested recipes for it from reputable sources. Here are some ways you can start thinking about being creative. The second principle is to be creative safely within safe guidelines. But we’ve flogged that idea enough now, let’s move on. For pickles, relishes, salsas: get yourself a copy either of Canadian Living or Ball All New, or both. Those three home canning books have tested, gourmet-level recipes. Thankfully, for at least three key items, safe guidelines have been established inside which you can be creative right from the start! 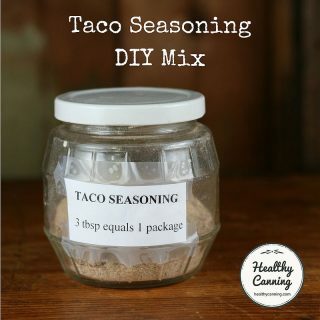 They are worked off their feet as it is, and don’t have time to field endless questions about the impact of a bay leaf or 1/4 teaspoon of chile flake in a recipe. For any of the above, who can blame them? We’d do the same in their positions. That being said, professionals in the field are now starting to loosen up a bit, and entrust people with some tweaks that they “authorize” as safe for home canners to do. For a list of these safe, authorized tweaks, and a discussion of the matter, see: Safe tweaking of home canning recipes. Do not deviate from the tweaks the professionals identify — and again, when starting out, don’t focus on how you can cheat the rules, focus on mastering the rules first! 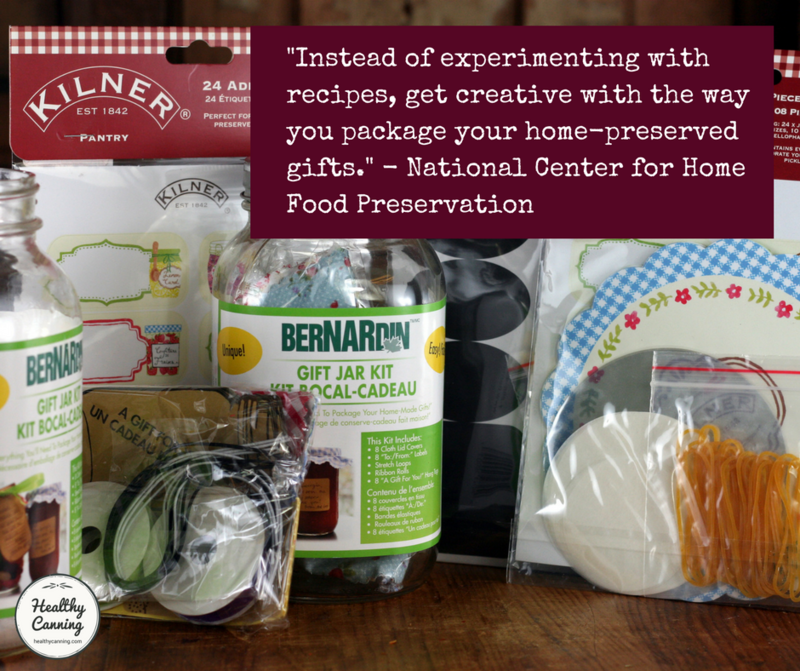 The National Center for Home Food Preservation (NCHFP) suggests, “Instead of experimenting with recipes, get creative with the way you package your home-preserved gifts.”  NCHFP. Blog posting 10 December 2014. Accessed July 2016. If you do get creative with jar size, remember to only pick a jar size for which an appropriate processing time can be found. You can’t pick a jar size larger than for which there is a tested processing size. If you are using a smaller jar, use the next up tested processing time. If you use an attractive canning jar of a unique size (12 oz., for example) and you can’t find canning recommendations for that size jar, be sure to use the next biggest size jar that does have canning recommendations (so in the example of the 12 oz. jar, follow the process time listed for pint size jars). Otherwise the product might be under-processed and risk spoilage or causing sickness. NCHFP. Blog posting 10 December 2014. Accessed July 2016. Both Ball and Bernardin now also offer coloured lids and canning ring bands. Bernardin also offers “creativity in a jar”: a kit that lets you “cheat” a bit timewise in dolling up gift jars by providing everything you need to make it look like you spent all evening personalizing someone’s jar. what approximately your cost per jar was based on that main ingredient alone. Even if you are just doing 3 types of jam a year, your next-year self will give a silent nod of thanks to your this-year self for this information. Armed with that information, you will know approximately when during the summer you will be out of action socially to can your things, what stores to start looking in, and what monies you need to be putting aside for it. You’ll also know whether to increase or decrease the amount of a particular produce item you worked with. This is honestly one of the most important way for beginning canners to channel some of their creative energy into. And to be intellectually thorough, let’s address the question of when home canning is a bit of both, art and science. Home food preservation is a science and an art.”  Little, Lynn et al. Grow It Eat It Preserve It: Food Preservation Curriculum. University of Maryland Extension. Extension Curricula EC-03-2013. Jan 2014. Accessed March 2015. Page 4.
try brewing your own beer, or wine! get on mailing lists and news groups for the latest and greatest home canning news from reputable sources. In all these ways, you start to fly as a home canner while keeping your food products grounded in safety and quality. Remember, too, if you want to give someone something special, you want to make sure it’s 110% safe. You don’t need to doctor it up — anything homemade these days will be regarded as special. McClellan, Marisa. 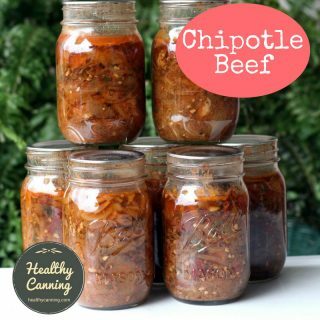 Canning 101: How to Can Creatively and Still Be Safe. Blog Post. 15 December 2010. Accessed June 2016. National Center for Home Food Preservation. Why can’t I can what companies can? Blog post. 16 April 2013. Accessed June 2016. Even the simplest things, canned pure and honest, will take people’s breath away. 1. ↑ Mapes, Diane. Homemade holiday food baskets may give gift of botulism. NBC News. 13 December 2010. Accessed March 2015 . 2. ↑ USDA Radio Service. Housekeepers’ Chat. Thursday, 14 September 1933. 3. ↑ Julie Garden-Robinson, North Dakota State University Extension Service. Quoted in: Preserve your garden’s bounty safely with free resources. Farm Forum. 18 July 2016. Accessed July 2016 at “https://www.farmforum.net/news/preserve-your-garden-s-bounty-safely-with-free-resources/article_62e9d6ff-394c-5b13-a920-780bb63dd965.html. 5. ↑ Andress, Elizabeth L. Research and Education in Food Preservation. Powerpoint presentation. 19 October 2014 at Food & Nutrition Conference & Expo, Atlanta, Georgia. Slide 7. 6. ↑ Orem, Mrs Hugh S. A Revolution in the Kitchen: An address to the Associated Clubs of Domestic Science, Sept. 21 1910, Madison Square Garden, New York City. Bel Air, Maryland: Bureau of Publicity, National Canners’ Association. 1910. Page 13. 7. ↑ Garden-Robinson, Julie. Prairie Fare: Pondering the Safety of Pickled Products. North Dakota State University Extension Service. 4 August 2005. Accessed June 2016. 9. ↑ Ball Blue Book, Edition E. Foreword. Muncie, Indiana: Ball Bros. Glass Mfg. Company. C. 1920s. Page 7. 10. ↑ Questions: Information from the Bureau of Home Economics, USDA. USDA Radio Service. Housekeepers’ Chat. 14 September 1933. Page 1. 11. ↑ Karlinksy, Malia. Canning is cool again. Seattle, WA: Komo News. 19 August 2015. 12. ↑ Halloran, Amy. Preserving the Art of Canning Safely at Home. Seattle, Washington: Food Safety News. 26 April 2011. Accessed March 2015. 13. ↑ NCHFP. Blog posting 10 December 2014. Accessed July 2016. 14. ↑ NCHFP. Blog posting 10 December 2014. Accessed July 2016. 15. ↑ Little, Lynn et al. 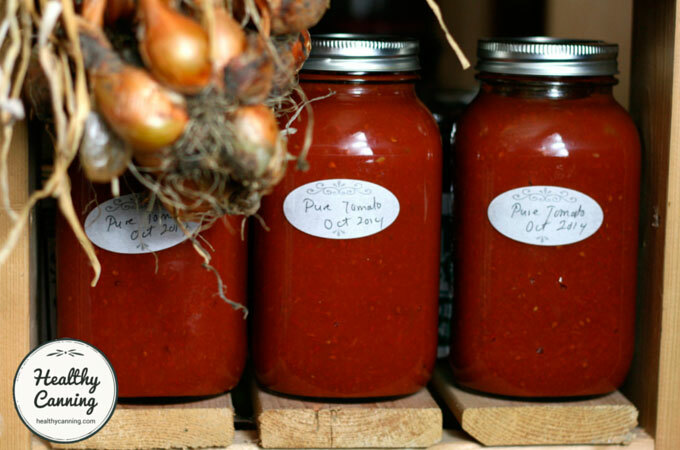 Grow It Eat It Preserve It: Food Preservation Curriculum. University of Maryland Extension. Extension Curricula EC-03-2013. Jan 2014. Accessed March 2015. Page 4.